Beneath the sweltering sun, about twenty undergraduates and 150 first-year students attended the Monash Orientation Bash for Semester 1, and the end result for each person was the same: they all had a smashing good time and the war stripes – er… the tan lines to prove it! We gathered bright and early at 7.00am at Monash University to have breakfast and mingle with each other. After the meal, the freshies were split into fourteen groups, and each group had two Buddies to guide them along the way. 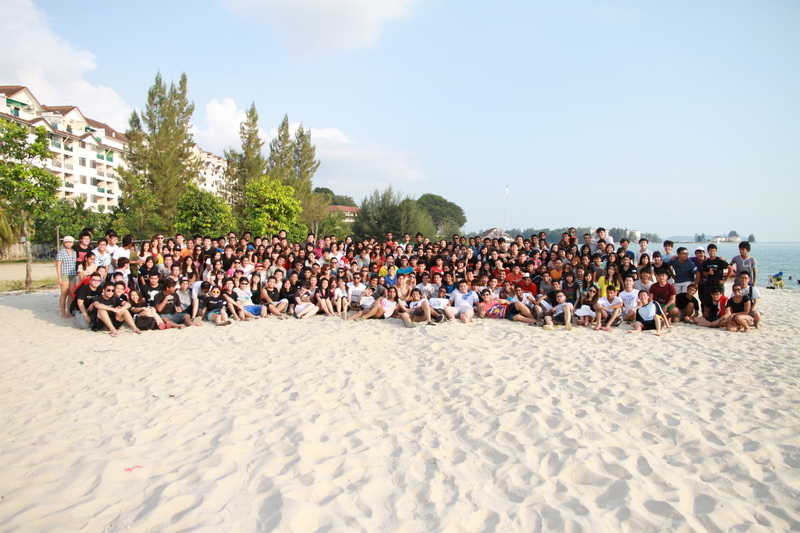 The bus left campus at 10.00am, and at around 12.00pm, we arrived at our destination – Bayu Beach Resort, Port Dickson. It was a resort filled not only with the facilities of a hotel but also several blocks of apartments, complete with a cozy swimming pool and a water slide for kids. Once we had our belongings safely secured in one of the seminar rooms provided for our use, we adjourned to the restaurant where we tucked into a buffet-style lunch. The food was much needed fuel for the fun we were about to have! 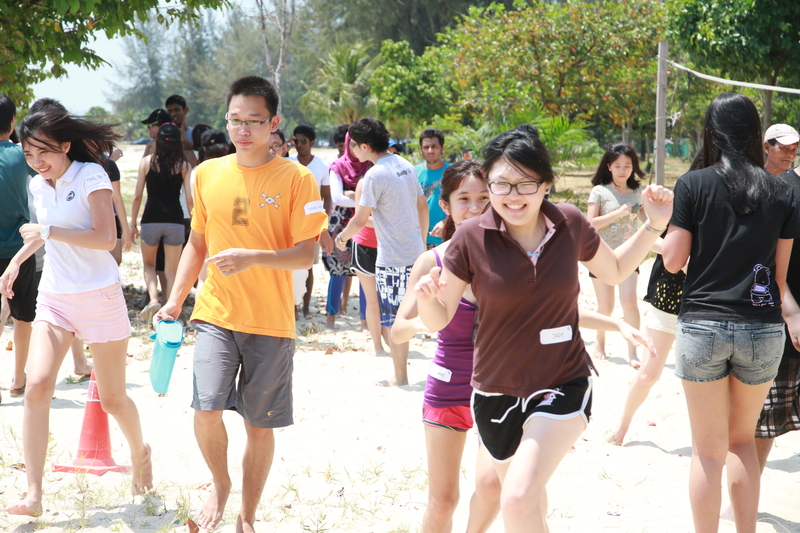 After a hearty lunch, we then stepped onto the beach to start the day’s activities. Some of the groups had already started wading at the water’s edge, having their own fun while waiting for the other groups to arrive on to the beach. Members of MUSA, as well as the Buddies, stood around to monitor the freshies in case any accidents happened. At 2.30pm, underneath the blazing sun above our heads, we gathered where the sand was finest (and unfortunately for us, where the shade was sparsest), and assembled according to our groups. The games were about to start, and the facilitators introduced themselves and the games that we were about to participate in. 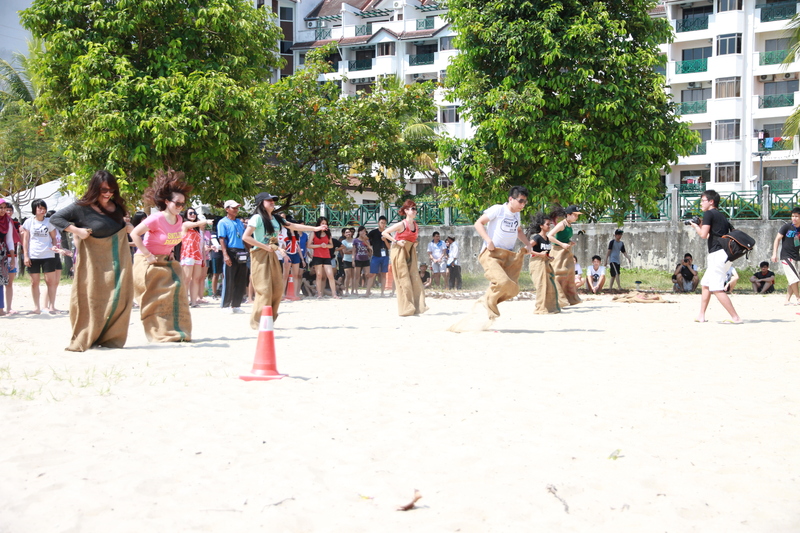 There were a total of four games, each testing not only our physical abilities but also our teamwork and strategic skills. Each victory won for our team brought us points that would lead to a final prize at the end of the day. At sunset, we all gathered again by the sea to take some group photos to remind us of the fun times we had throughout the day. Dinner was a lively affair after we cleaned and washed ourselves from the grime accumulated throughout the day. The food was also surprisingly better than what we had for lunch! A prize giving ceremony soon followed the dinner. As it turned out, every single team was given a prize. It was a way to thank the freshies for their participation in the Bash; a sort of pat on the back for everyone who came that day. A special prize was also given to Hooman, who received the prize for Best Sportsmanship. Thus, we returned to campus with full stomachs and unforgettable memories. Although we almost melted under the cruel sun, we returned as richer people because of the friendships we had forged and the new experiences we had garnered.